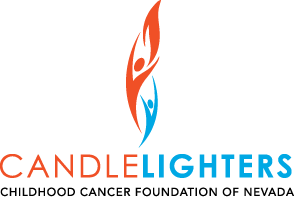 The Adopt-A-Family Program has been created to help Candlelighters Families, whose focus is on their child’s illness, enjoy the holiday season without any additional stress or worries through the generosity of wonderful caring donors within the Las Vegas community. When a family spends much of their time in the hospital or clinic with their child undergoing treatments, they are overwhelmed by the many co-pays for doctor visits, hospital stays, and prescriptions, or they lose their child to this disease, the holidays can be tough. Most families do not have the emotional or the financial means to go shopping for gifts or make a holiday meal. Your generosity allows our families the opportunity to celebrate the holidays and provide a sense of normalcy for the diagnosed child, their siblings, and their parents. Our annual Halloween Bash is one of our premier family events with more than 100 families in attendance. This fun-filled event is hosted by Gary Ellis of Ellis Island. His entire team and many volunteers come together each October to provide a memorable childhood experience for the families we serve. Last year community supporters came together to help raise an astounding $65,000. We would like to invite you to help further our mission by sponsoring a room at our annual Halloween Bash. By making a financial contribution in addition to supplying candy to pass out the day of, you will continue to help enrich the lives of our families. We want to thank you and your company for being a part of this tradition, it would not be possible without your generosity.